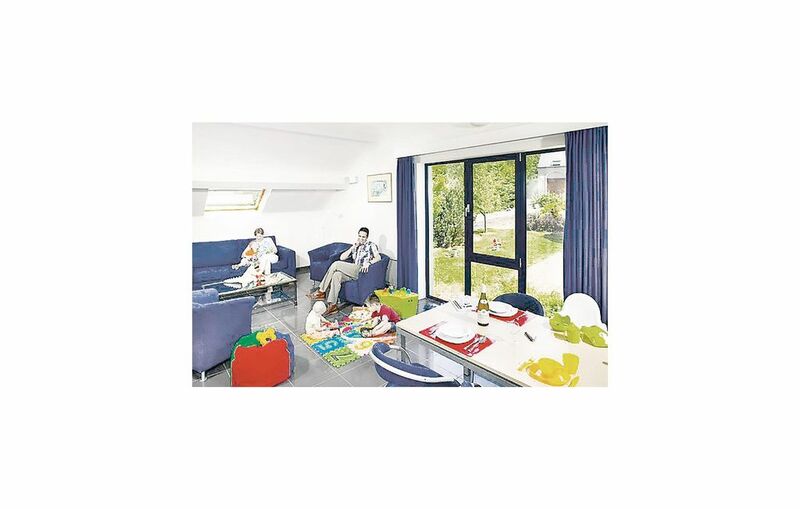 This holiday park offers tailor-made apartments for families with children. These apartments have a childrens’ room with a bed for those up to 12 years, a cot for children up to 3 years, toys, a changing table and a baby bath tub. The public swimming pool (fee applicable) with a hot tub, a sauna and a restaurant, located at the entrance of the park, is a very popular attraction. The Résidence Durbuy is located in the Belgian Ardennes. In each villa there are 4 apartments, each with a separate entrance. The resort is an oasis of calm and offers many activities for an active sporting holiday. An outdoor pool (open from July to August, free) with a hot tub is also available on the premises. In addition, there is a playground, a launderette (fee applicable) and a restaurant. On request, the beds are made for a small fee. For groups of young people the deposit amount might be higher. This applies to individual youth groups and school classes. Cot and high chair are available on request.